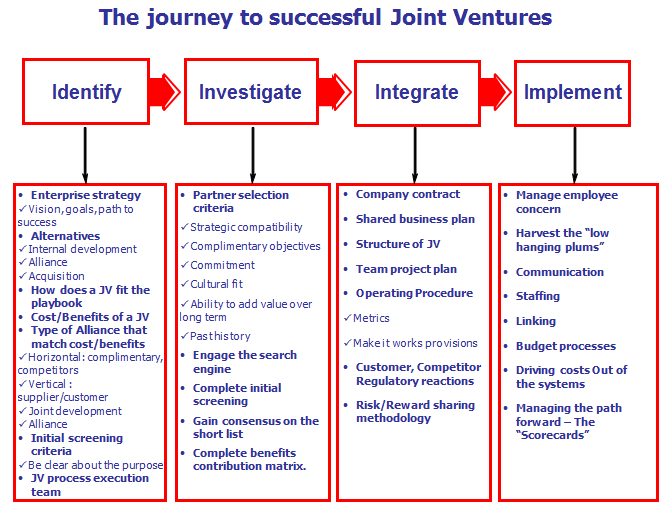 At TwinL, we consider strategic alliances or Joint Ventures are a strategy implementation vehicle. They do not stand by themselves as something to do. We examine whether strategic alliances or a JV make sense for the firm or whether a merger, or an acquisition are better routes to achieving your company business goals. The firm always has the option of proceeding to execute an initiative by itself and delaying the decision to join a partner at some future point in time if ever. TwinL has developed a proven process for developing and executing Strategic Alliances and Joint Ventures.